The Salomon S/Race Rush GS is a high performance piste rocket with Edge Amplifier technology, that moves effortlessly between turns and holds an edge on hard ice or perfect groomers. 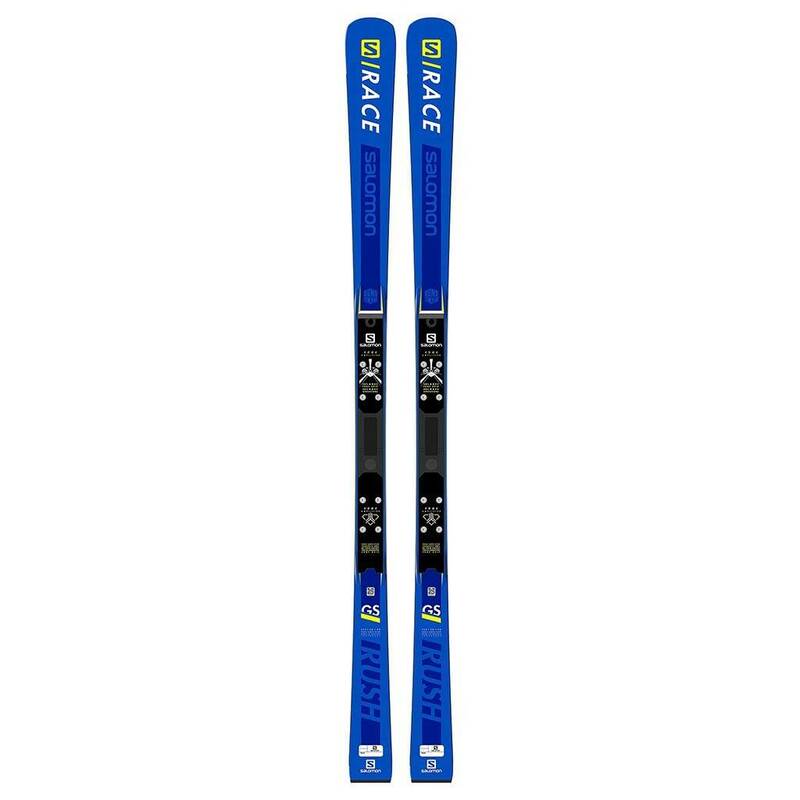 S/RACE RUSH GS is a high performance piste rocket with Edge Amplifier technology, that moves effortlessly between turns and holds an edge on hard ice or perfect groomers. Moves between weekend races and high-speed arcs on the morning corduroy: climb on S/RACE RUSH and let it rip.